Hey there people! It was a long time…erm…really long time since I posted anything new on the blog. Here in this post I have compiled a lot of the revealed information on Halo 4, made by 343 Studios. Halo came a long way ever since CE. There were obviously improvements made throughout the whole series, but its it getting a little bit dull? I think that Halo 4 can revive the series and bring it back to #1 on the video game leaderboards with the new Reclaimer Trilogy. So what can we expect from this new trilogy? Forerunners definitely! The Covenant enemies are returning as a separate coalition because of the destruction of the Covenant in Halo 3. There are going to be plenty new weapons. In fact, one new weapon is confirmed to be the Assault Carbine. 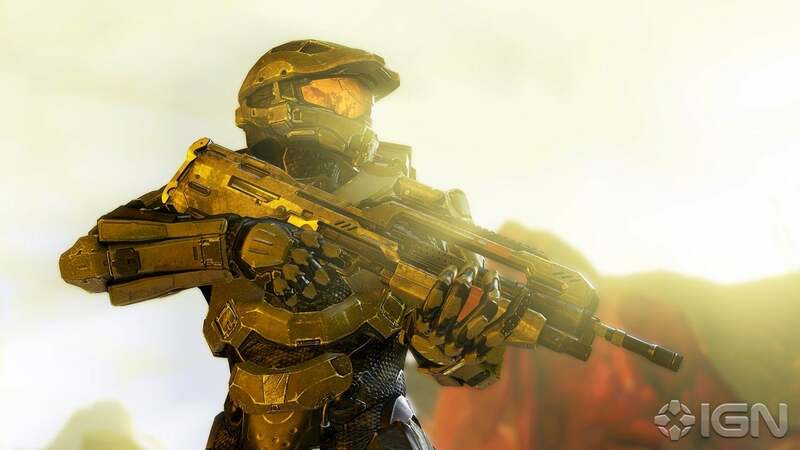 A new multiplayer called Infinity is going to be included in Halo 4. This mode is like the classic multiplayer with Team Slayer, Cooperative mode (Spartan Ops), and Forge. Spartan Ops is a new feature that is replacing Firefight. The core of this mode revolves around weekly missions that you and your friends can play. So basically this is a second Career mode. On the other hand, Career mode is very sketchy right now as on what The Chief is fighting and what happens after the rebel attack of the partially destroyed Forward Onto Dawn. So what do you think? Do you think 343 will freshen up the Halo series? What do you think of the new Spartan Ops? Everything will be revealed on November 6th, 2012 when the game comes out. Until then, I will keep updates on what is happening with Halo 4 developments. I have tried all kinds of blogging websites and nothing comes close to WordPress. So thanks WordPress for providing such a great service. Now I have some big news. I am making a game called Drag Racer on Scratch. So far I have made one race and 3 cars and I squeezed them into an interesting Demo. You can check this game out HERE. Now for the features of this game. There are a total of 9 cars so far: Honda Civic, Nissan Silvia, Volkswagen Scirocco, Mitsubishi Evo X, Maserati Grantursimo, Mazda RX-7, Lamborghini Murciélago, Pagani Zonda Cinque, and Bugatti Veyron SS. There is a total of 28 races in the career mode, and you can also play a mode called Free Play where you can bet your money. If you are saying, why only 9 cars?, then you have to check this out. When I complete the game I will start working on an expansion pack! It will include 3 cars: Acura Integra, Chevy Camaro SS, and Gumpert Apollo S. It will also include 6 races. Now for an RV Productions!!! update! There is going to be a new header and I will be discontinuing the Funny Signs page, but I will make a Fails and Wins page. I also changed the background to a dark grey, so that my blog is easy on the eyes. Yes you heard me correctly, this is a new post. I gave up this blog when 8th grade started, but then I had a spark of ideas; I changed my nickname from CPMAN to RCT3xpert. That was not over for the idea spark. Earlier this week, I renamed the blog from CPMAN Productions to RV Productions. Now there is no SimCity page and there will be absolutely no Club Penguin players allowed. If you are one then you will be tracked by IP address and I will shut down your computer forever. Joking…that won’t happen. Just don’t expect anything Club Penguinish. And I changed the motto to What did you expect?… I also changed the header as well. Do you like it? Okay now I will let you explore this blog. Check out all of the different pages, because they are cool. Also, here is a fact: The last post on this blog, not counting this one, was from October 6, 2009! Impressive isn’t it? Later expect to see a new toolbar, yes a new toolbar, under the name of RV Productions; I will post it either on the sticky or the sidebar. So now I will let you go with that. Just don’t expect anything special; but be sure to visit the pages. Just so you know, as a little fact, I take keyboarding this nine weeks, so now I can write more in a short period of time. I guess I should have written my rough draft for class instead though. Welcome to my blog. Please enjoy my posts and pages of my blog.